These pictures were taken back in 2004 when my sister and her family were in Colombo, Sri Lanka and we went sightseeing. 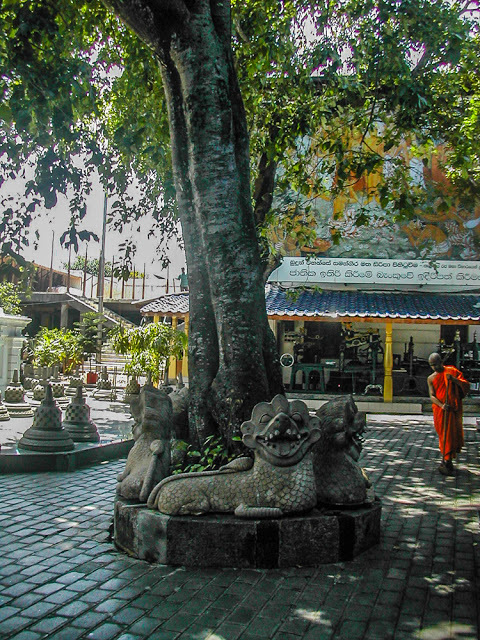 This is at a Buddhist temple in Colombo. I am hoping someday to see one of these in person. Beautiful, and so interesting. I am in awe. Wow.